Many of the common obedience and behaviour problems such as pulling on the lead, refusing to come back when called, jumping up on people etc. can be cured relatively quickly with my help. I can also help dog owners overcome behaviour problems such as separation anxiety, destructive behaviour, over excitement etc. 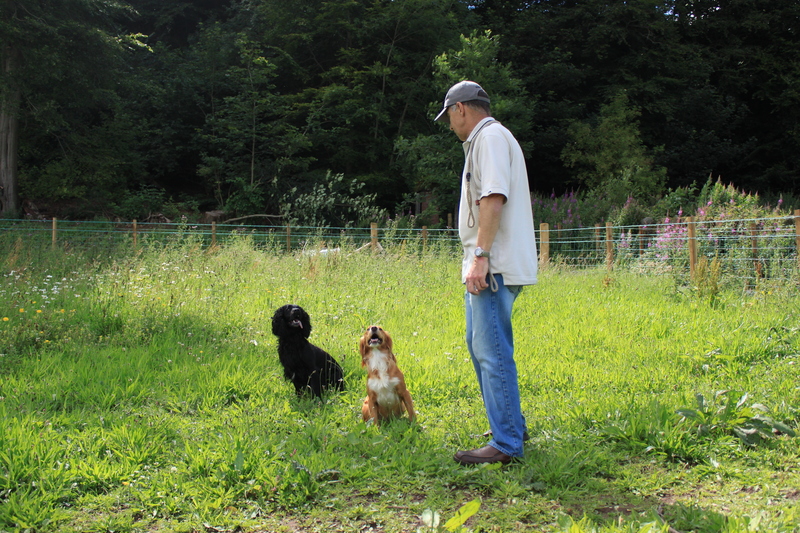 I prefer to work with the owners during the process, fully involving them in the training process which gives them a better understanding of canine behaviour and how dogs respond to human emotions and body language. However in situations where the owners are unable to do this I am happy to do the training on my own then spend time with the owner, educating them on how they must deal with the dog from then on. There are rules which must be followed to maintain the dog’s level of obedience otherwise the newly trained dog will simply return to his old ways. A number of common behavioural issues which many pet dogs exhibit can be related back to a lack of basic obedience training. For example refusing to come back when called. What usually happens here is the owner has a few bad experiences when the dog has ran off and refused to come back so the owner decides that the dog will not be let off the lead again. The result the dog becomes frustrated due to a lack of exercise (most dogs require at least 30 minutes free running exercise a day) he returns home with loads of unused energy and looks for ways to use it up. Chewing your possessions or property, pacing up and down and whining, are all favourites. If you are experiencing any of the above problems with your dog, I can probably help, if I can’t it won’t cost you a penny. You can use the website contact form or give me a call now on 07872 575672 for a friendly, no obligation chat, with my money back guarantee you’ve got nothing to lose and everything to gain.